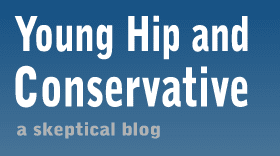 Young, Hip and Conservative: a skeptical blog: Doesn't anyone want to challenge this middle class view? Doesn't anyone want to challenge this middle class view? I've found myself hearing this same exchange again and again. Someone who considers income inequality to be a major issue will lament the "death of the middle class" and the response from free market fans will be to say it's not because people are getting poor, but because they are getting rich. I've seen this same exchange a dozen times, but I can't say I've heard anyone on the left come back with a reply. Don Boudreaux shared a classic post on the subject from Arnold Kling showing decreases in the number of both low and middle income households and a three-fold increase in upper income households. I believe the facts are on our side, but every time I try to find a rebuttal on Google I just come across more people agreeing with us. Karl Marx predicted that capitalism would cause fewer and fewer people to be rich, and the former rich would join the hordes of the masses in a violent struggle against the small number of rich people. Add this to list of things he got wrong, which includes nearly everything he wrote. Update: I managed to find one article on the HuffPo that could be said to qualify, but I don't find the argument compelling. For starters, the author wants us to ignore non-monetary forms of compensation like health care benefits, as if they aren't something the employer has to pay for. He also said he doesn't argue the middle class will disappear, as that is a contradiction of the concept of the middle. He also got his ridiculous beard wrong.